Windowtinting.com opened a whole new world for me. I feel more confident and capable to get the job done!!! It is amazing all you can learn in just one week…its well worth it! If you are an inexperienced window tinter and want to learn, and take pride in what you do, I promise you that there is NO ONE out there better to teach you than Robert. He's a great teacher that takes pride in his students…you will not be disappointed. I can say that the instructor is THE BEST ONE I've even seen. He taught everything step-by-step along with working with you one-on-one. He's super fun to learn with! 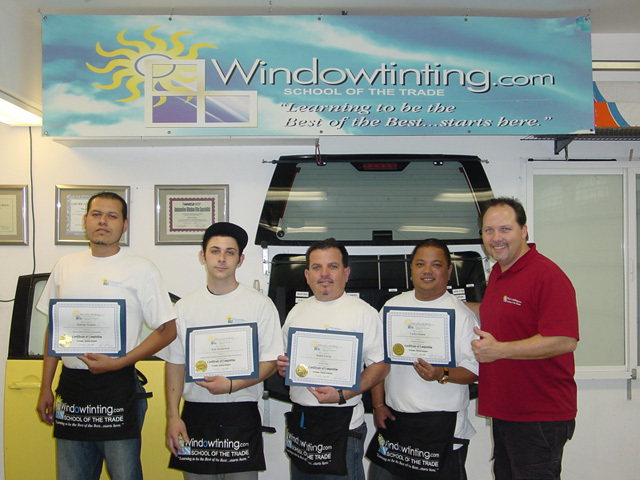 I am very happy that I did the right decision to come to Windowtinting.com and I would like to thank Mr. Robert. He's the bomb and a very nice guy and smart too. So for you guys that want to become a window tinter, go to Mr. Robert and I guarantee that you learn at lot! Thanks, Mr. Robert.